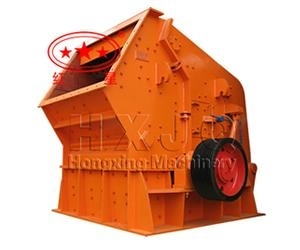 Impact Crusher, namely impact breaker or impact crushing machine, is optimized after adopting advanced techniques, and the capability of mobile impact crusher got advanced. 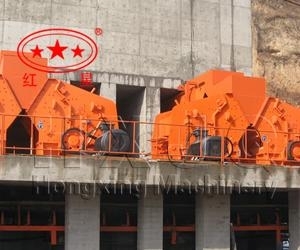 Impact Crusher is mainly used to crush many kinds of large, medium, small materials, the side length of impact stone crusher is less than 500mm, and compression resistance of impact crusher should not be more than 350Mpa. The impact crusher is widely used in building material, hydroelectricity, artificial stone and sand, highway, etc. When the Mineral Impact Crusher works, the motor drives the rotor of the Impact Crusher with high speed, on the rotor where hammers installed. When the materials get into the area which the hammers affect, under the impact function of the hammer at a high speed, the materials are thrown to the impact device above the rotor continuously. And then the materials are rebounded from the impact liner to the area where the hammers effects for being re-crushed. The materials from large to small all to be crushed at the impact chamber repeatedly. The process won't stop till the material are crushed to the required size and then discharged from outlet of the China Impact Crusher. 1. Connected with locking sleeve assembly. 3. Hydraulic or hand opening. 4. Impact plate with a special shape. 5. Crushed product with cubical shape. TT/LC/DP/DA or other payment terms.